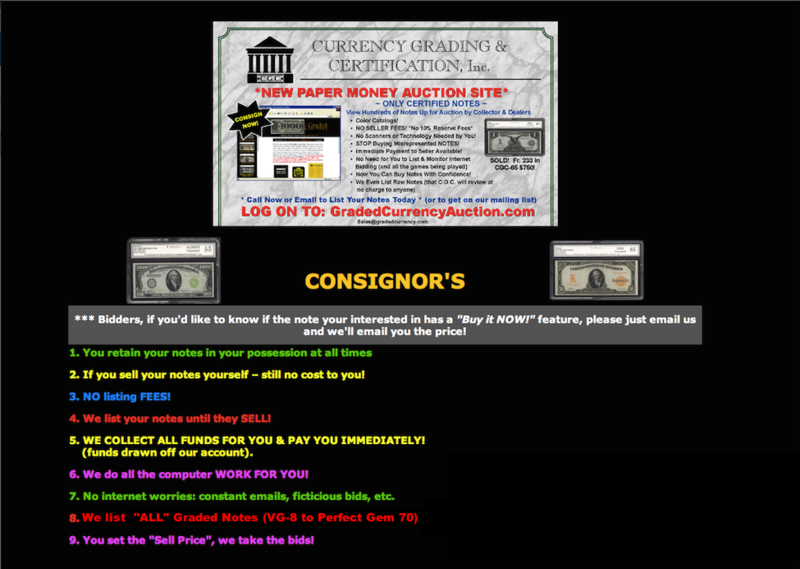 This web site is here for YOU to SELL Your Notes! We inventory only 100% Graded Notes. We strive to carry something for everyone. Now you can list your notes on this website, and here's the great news: NO Hosting fees, NO scanner or even a computer is needed, you never need to waste your time updating websites, and NO more watching bids (or worrying about fictions bids) or answering emails. We list YOUR notes until they're SOLD! Notes will be added daily, so if you don't see a piece you desire, please CONTACT US.